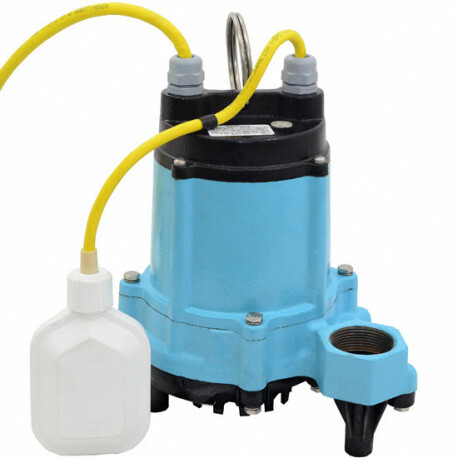 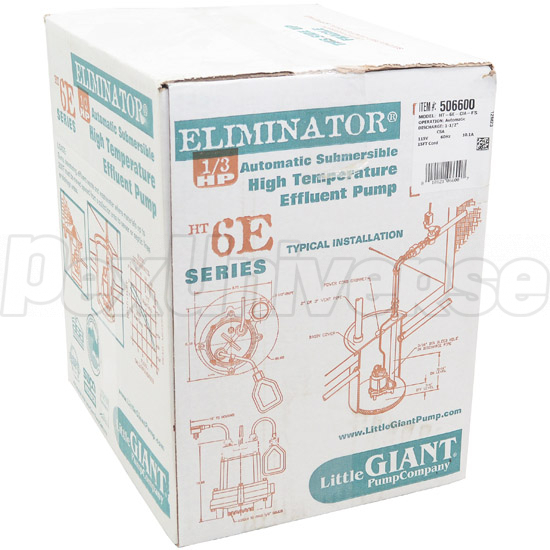 Little Giant HT-6E-CIA-FS (506600) is an Automatic High Temperature Submersible Effluent Pump with Integral Mechanical Float switch, 1/3 HP, 115 Volts, 15' power cord - Eliminator Series, designed to handle liquid and solid waste in temperatures up to 200F, recommended for applications such as boiler blowdown pits, plant washdown units, public utility underground transformer vaults and industrial steam cleaning pits. 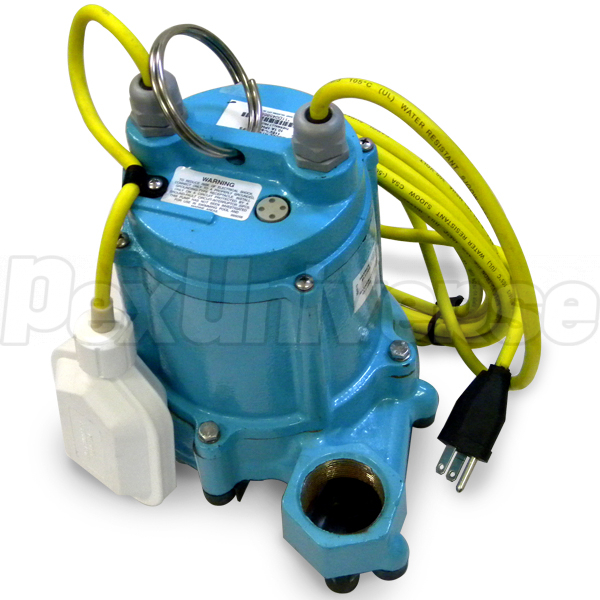 HT-6E Series Effluent Pump is suitable for pumping basement drainage water, effluent, wastewater and other non-explosive, non-corrosive, non-abrasive liquids with up to 1/2" spherical solids handling ability, with a wide use in residential, commercial, industrial and agricultural applications with light to medium transfer demands. 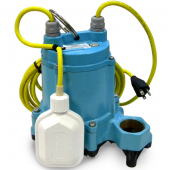 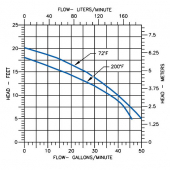 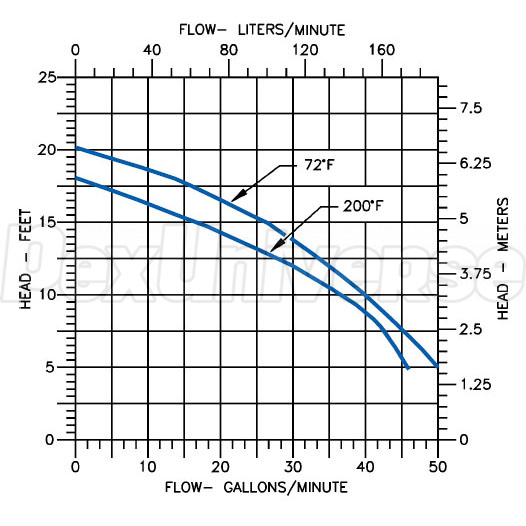 The Eliminator submersible HT-6E Series De-watering and Effluent Pump features a vertical 1 1/2" FNPT discharge with head capacity of 20', high-temperature thermoplastic base and heat resistant float. HT-6E-CIA-FS Eliminator Submersible Effluent Pump handles liquids up to 1/2" diameter soft solid waste materials and deals with tough effluent and demanding tasks in wastewater and effluent waste transfer with high efficiency and long term dependability. 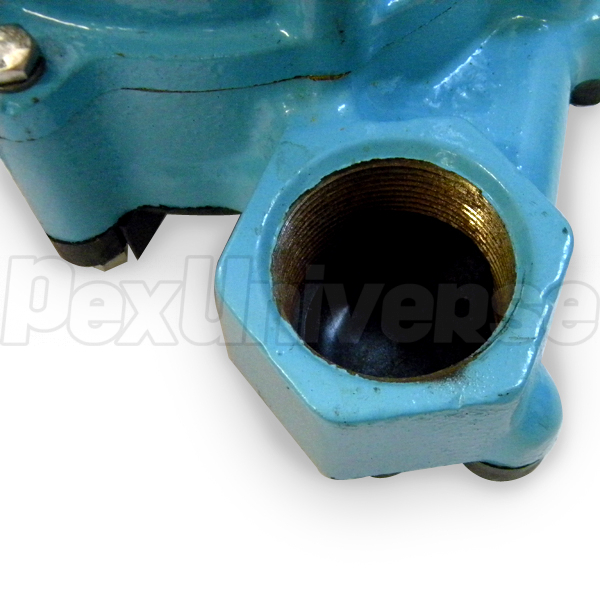 Little Giant HT-6E-CIA-FS has an epoxy coated cast iron housing and cover to ensure rust resistance, with all exposed component parts made of corrosion resistant materials to provide a longer service life. 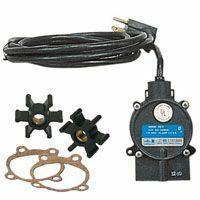 Little Giant HT-6E-CIA-FS boasts Vortex nylon impeller, maximum 200F operating temperature, mechanical seals (stainless steel spring, viton parts, carbon and ni-resist faces, Viton Shaft seal) and 300 Series stainless steel Hardware. Oil filled motor housing of HT-6E-CIA-FS provides lifetime lubrication and rapid heat dissipation. 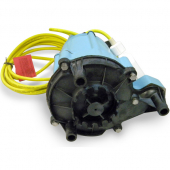 Little Giant's powerful 1/3 HP Shaded Pole motor with automatic reset thermal overload protection delivers 50 GPM of wastewater at 5' total dynamic head. 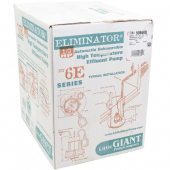 This newest HT-6E-CIA-FS Eliminator High Temperature Effluent Pump is an ideal solution for effluent and wastewater removal and handling where such materials must be moved upward from a collection area to sewer or septic lines or drainage areas.